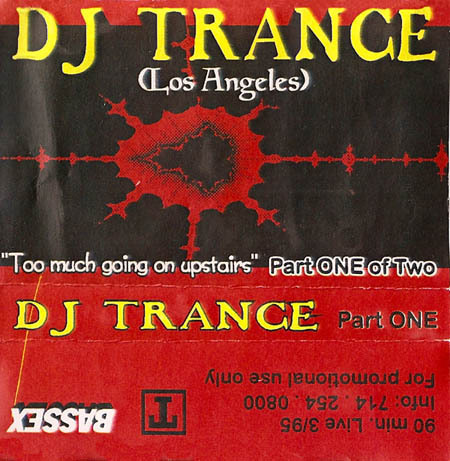 DJ Trance mixes never seem to disappoint and this one is no exception. 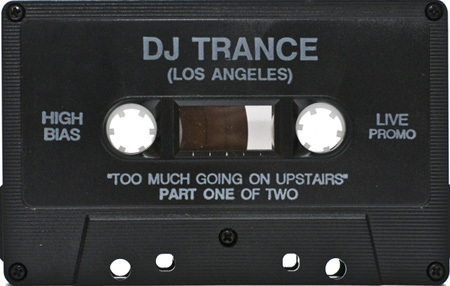 This mix of acid, house and techno is part one of a two part series, called “Too Much Going On Upstairs”, that was recorded live in March of 1995 and released the same year. More DJ Trance mixes available here. Excellent upload! Now this is a RARE classic, kept hidden deep in the underground. I had to post again. I agree, this a rare and classic one. thank you so much for sharing. This brings it all back to me. Truly awesome, this is indeed a rare piece of trance history. I was really hoping to preserve this one on disk. Thanks for the upload. My tape has writing on both sides, don’t know how yours could have gotten half labeled, but the tape I have has a short section that is twisted. 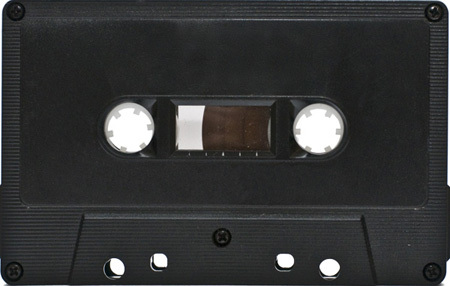 I think it got munched in the black thunder bird tape deck somewhere along the way. That thing died in Vegas a long time ago, that car was nothing but problems. Hahahahaha!!! Friend played this mixtape for me back in ’99. His comment was “Remember when they were using those tribal beats for a few months back in ’95? It seemed new elements were brought to the fore and dropped within months back in the day. Gotta give this a listen and see if his comment holds up. good god man! what a sound! Unlike what someone said in the 1st comment, both sides work for me. I do think the sides are probably mislabeled. Freaky Chakra’s “Multiphasic Invoculator” (which someone properly identified above) plays out on the side you have labeled as B, yet continues on what you have labeled as Side A.
track 1 – plastikman- cannot find title, but i used to have this single.